In this project you’ll learn how to use SNAP! 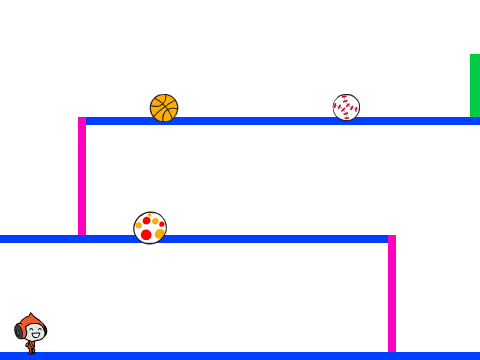 (using the drag and drop blocks below) to create a platform game, in which you have to dodge the moving balls and reach the end of the level. You will learn how to use "if" blocks, how to add sprites, and variables to make your character dodge balls.